Take time to enjoy the beautiful & unique attractions surrounding the Powerhouse Eatery in beautiful Northeastern Pennsylvania. Below is a list of family-friendly, adult, outdoor, and indoor attractions for all seasons. We look forward to being your unique dining destination; regardless, of your adventure! If we missed any of your favorites please comment below! There’s something fun here at Pocono Whitewater for every level of adventurer! Choose your own pace with mild to wild dam release whitewater and family style whitewater rafting trips. Located in the Pocono Mountains of northeastern Pennsylvania, the Lehigh River Gorge is the perfect place for your next whitewater rafting adventure. From relaxing, family-friendly whitewater rafting down miles of easy Class I and II rapids to more challenging adventures like our Whitewater Marathon, you’ll find it all at Whitewater Challengers on the Lehigh River. Flowing through valleys between the Pocono and Appalachian Mountains, the Lehigh River features several sections of rapids. Therefore making it the perfect place for recreational outdoor activities like whitewater rafting and inflatable kayaking. Natural rapids are further enhanced on dam release days, when extra water intensifies the rapids, providing an even more exciting rafting experience. With Class I, II, III and III+ rapids available, Lehigh River rafting is ideal for any and all rafters, from beginners to seasoned experts. Lehigh River rafting trips in Pennsylvania with Whitewater Challengers are available during the spring, summer and fall. With our talented and fun-loving river guides, adrenaline-pumping rapids and the chance to explore one of the premier whitewater rivers in the Northeast, you’re sure to have a great time no matter when you choose to go! Pocono Raceway (formerly Pocono International Raceway) also known as The Tricky Triangle, is a superspeedway located in the Pocono Mountains in Long Pond, Pennsylvania. It is the site of two annual Monster Energy NASCAR Cup Series races held several weeks apart in early June and late July, one NASCAR Xfinity Series event in early June, one NASCAR Camping World Truck Series event in late July, and two ARCA Racing Series events, one in early June and the other in late July. From 1971 to 1989, and since 2013, the track has also hosted an Indy Car race, currently sanctioned by the IndyCar Series and run in August. We specialize in athletic and adventurous people with little or no riding experience. Just be open to being an active participant in a learning experience. Most of our groups do a little trot/jog during the ride. We never canter or gallop. It's not a ride for advanced riders- just enough to be fun for the beginner or occasional rider. Here at Pocono Biking we do more than just rent Trek Bikes and provide shuttle services to the Lehigh Gorge Rail-Trail. We offer specialty biking trips that include hiking and whitewater rafting, multi day adventures, Bike Train rides through the Lehigh Gorge State Park and so much more. The Mount Airy Casino Resort is a casino and hotel located in Mount Pocono, Pennsylvania. The casino resort has 188 hotel rooms, a 62,000 sq ft casino with 1,800 slot machines and table games, a spa and salon, a nightclub and an 18-hole golf course. Mount Airy Casino and Resort is one of two AAA 4 Diamond Casino Resorts in Pennsylvania. The Pocono Mountains offer an ideal vacation destination for people in both the greater Philadelphia and greater New York City regions. When booking your getaway, nothing provides a better value for families in need of a kid-friendly resort like Great Wolf Lodge. The Great Wolf Lodge Resort in the Poconos, Pennsylvania encompasses everything a family could need for a family getaway. The resort not only offers an incredible indoor water park, but it also has gorgeous hotel accommodations, and plenty of shops to explore. No matter what interests your wolf pack has, Great Wolf Lodge Resort in the Poconos, PA has them covered. No need to check the forecast when you take a family getaway to Great Wolf Lodge Resort, it’s always the perfect temperature inside the cozy confines of the lodge. The Crossings Premium Outlets® is nestled in the heart of the Pocono Mountains region and features 100 brand name and designer outdoor outlet stores. Conveniently located off of Interstate 80, Exit 299, you will find everyday savings from Gap Factory Outlet, Kate Spade New York, Michael Kors, The North Face, Under Armour & more. Various dining options are available whether you grab and go in our food court or sit down at the Log Cabin Bar & Grill. Skirmish Paintball is home to over 50 of the best paintball maps on the planet spanning 700+ acres of prime Pocono Mountain real estate. There is no experience necessary to play here at Skirmish Paintball. We will provide your paintball equipment and our friendly and knowledgeable staff are always on hand to answer your questions, give you tips and help with whatever you need. Camelbeach Mountain Waterpark is a water park located in the Pocono Mountains, in Tannersville, Pennsylvania at Big Pocono State Park. Opened in 1998, it is the summer operation for Camelback Mountain Resort which operates Camelback Ski and Snowboard Area during the winter. The Asa Packer Mansion is a historic house museum on Packer Road in Jim Thorpe, Pennsylvania, United States. Completed in 1861, it was the home of Asa Packer, a coal and railroad magnate and founder of Lehigh University. 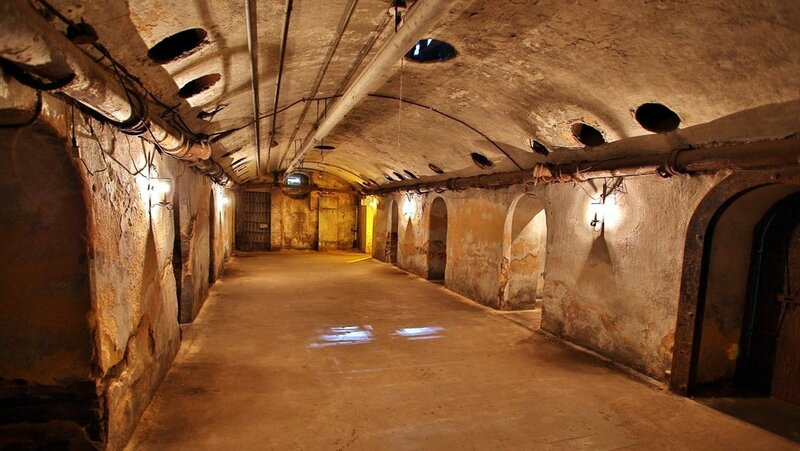 Dating from 1871, this 2-story jailhouse delves into the history of past inmates on its tours. Eckley Miners’ Village educates the public about the story of anthracite coal mining along with patch towns and their residents through the preservation and exploration of the site and its collection. Eckley Miners’ Village is administered by the Pennsylvania Historical and Museum Commission and is actively supported by the Eckley Miners’ Village Associates which is a non-profit community based organization. Ride by rail 1600' into the mine and then take a 600' walking tour which allows you to experience and see the true inner workings of one of America's oldest deep coal mines, including the Original No.9 mine elevator shaft.